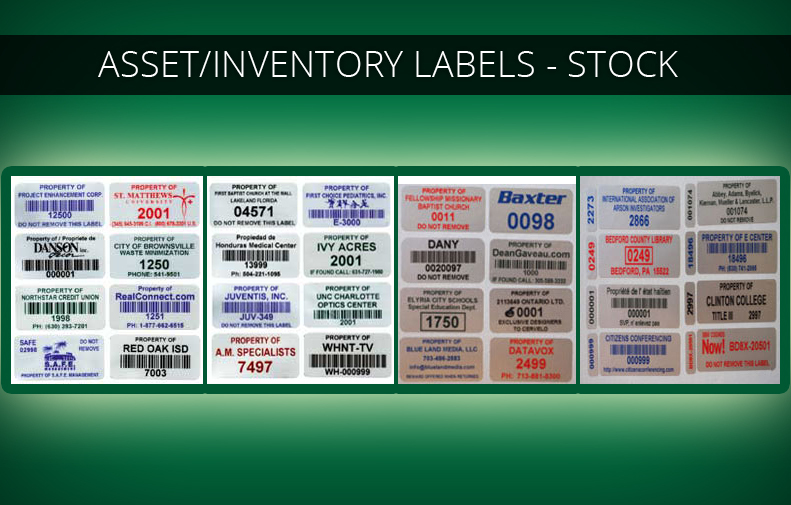 Imprints offers both basic and custom sized Fixed Asset Inventory Labels. 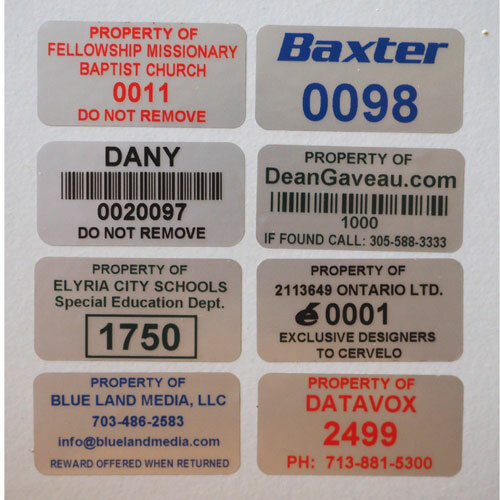 For our basic labels we use a silver mylar material, available in three sizes. While durable, the silver mylar material is meant mostly for indoor use in a normal office environment. They will take some abuse, but if they are going outdoors or in a harsher environment, please check out our custom option. 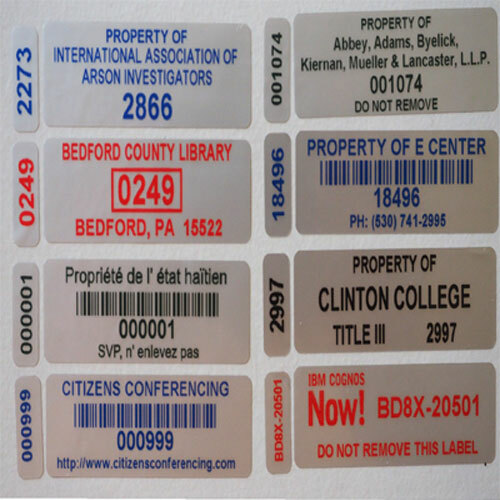 We also offer clear protective cover labels that you place on top of the printed labels yourself to give them added durability. 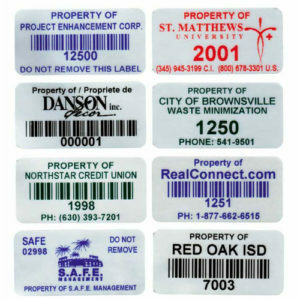 While a second step for you, it will save you money over the custom labels option. The silver mylar material has an aggressive adhesive and can be printed in black, blue, green or red. 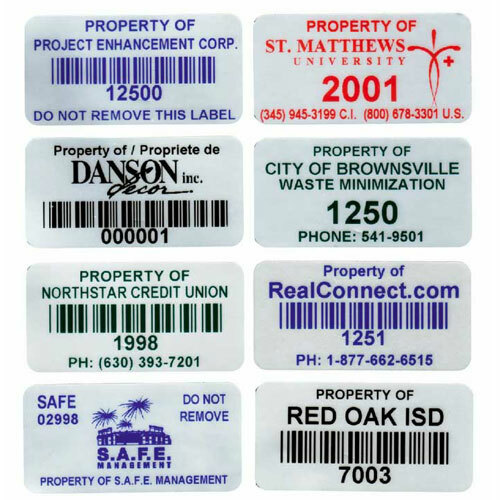 Prices are for one color only and include sequential numbering or barcoding. 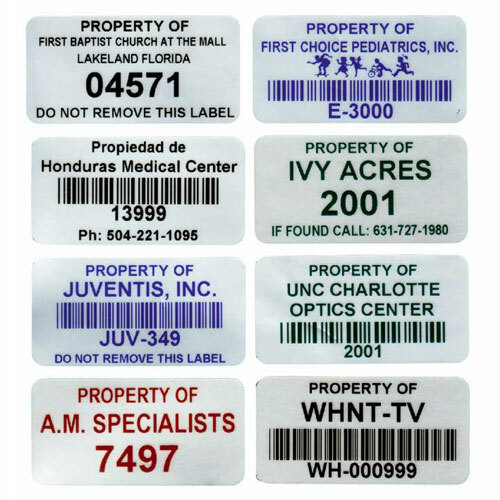 Red will not work with barcoding unless it is just for show. Barcode scanner cannot read red. 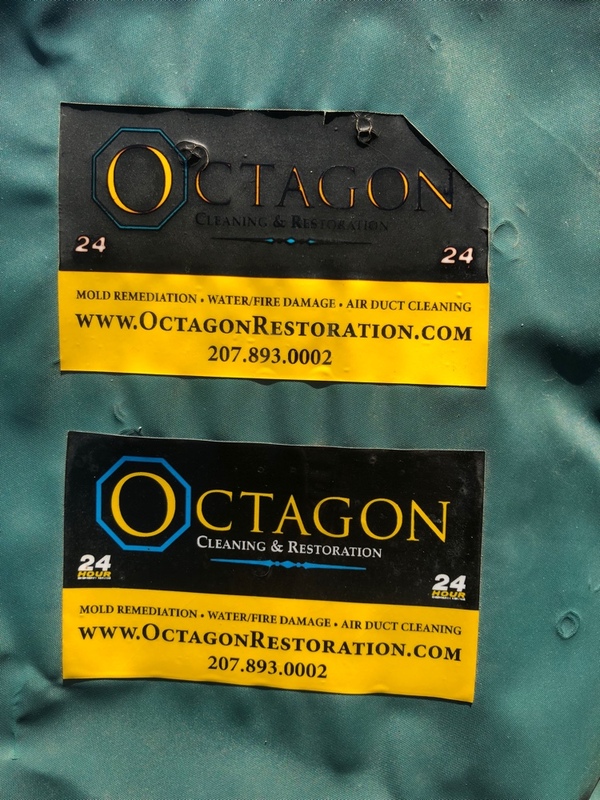 If you have requested samples of this material and are testing them out, please apply the labels to a clean surface with firm pressure and allow to set for at least 24 hours to give them a good test. The longer they are on, the better they stick, but keep in mind they are just labels. If someone want to remove them, they will come off. The finished labels are supplied on rolls. Turnaround time is usually 2 to 3 days once the proof is approved. OUR BASIC MATERIALS ARE MEANT FOR INDOOR USE AND NOT IN A HARSH ENVIRONMENT. OTHER MATERIALS ARE AVAILABLE IF THE BASIC MATERIALS DO NOT MEET YOUR REQUIREMENTS. Above pricing is for one color (black, blue, green or red) printing. 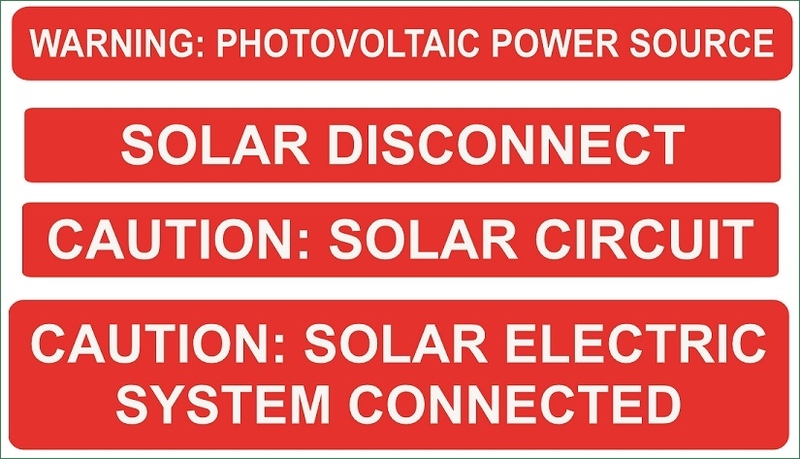 There are no other charges for the basic labels other than shipping. Set up is included as is sequential numbering or barcoding. For best adhesion, it is recommended that you apply the labels with firm pressure to a clean surface (91% isopropyl alcohol works best) I know most people wont go to that extreme, but if there is any dirt, grease, fingerprints on the surface, it could affect how well the labels stay on. 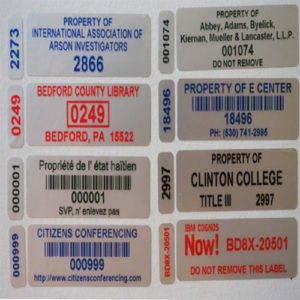 On most surfaces, the longer the labels are on, the better they will stick. Remember through, they are just labels. If anyone wants to remove them, they will come off.